We just recently received our copies of the new Delta Green Handler’s Guide and just had to talk about Delta Green. Join Aaron, Patrick, and Adam as they discuss different ways to create a memorable night at the opera. 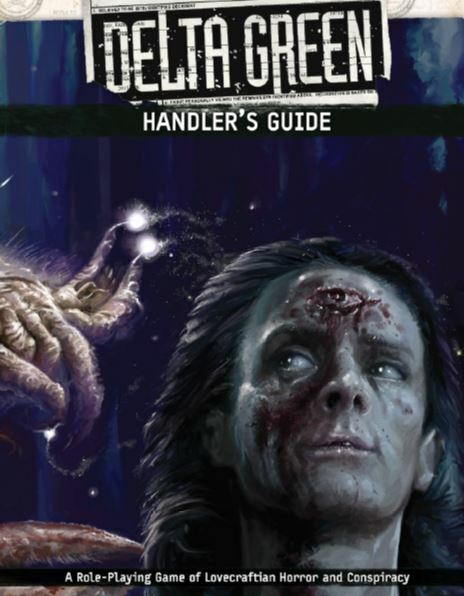 Be sure to swing by Arc Dream Publishing to order your hardback copy of Delta Green: Handler’s Guide today. Not sure if older comments will be checked or not, but figured what the hell. Just listened to this yesterday and while at the store I looked in a tabloid to see if something would jump out at me that would make a hell of a Delta Green game. And what do you know, page 2 or 3 something did jump out at me. Here’s the “Special Report” headline. All kinds of way’s that could go. And to make it even better I looked up the article itself. Apparently it was the FBI who stole it. That is awesome. Damn Migo are trying to worm their way into the criminal underworld.